"I worked with Mike on a quick turnaround, high pressure shoot involving the production and publishing of short videos capturing the essence of a live event. His attention to detail and planning skills were fantastic and allowed us to capture some compelling content that the audience loved AND which won an award! Also, he sure is handy with a GoPro…"
"As a very talented photographer, Mike was and will always be our first choice for capturing special moments in the life of our family. When it came to our wedding, we felt very comforted by his understanding attitude towards what we wanted from our day; along with his suggestions and input as to things we hadn’t thought of. We were rewarded for putting our trust in him by having wonderful pictures to remind us of the happiest day in our lives. The resulting photographs looked incredibly natural while capturing many details which we ourselves missed while caught up in the day. His courtesy to all of our guests made him a pleasure to be with, while his professional attitude inspired confidence as to the final results. We can’t thank him enough for his hard work; it paid off much to our delight and that of others when they look back at our wedding album." "I met Mike while he was working for Top Gear Live. As we was responsible for all digital content, he was one of the most important contacts to ensure I was able to deliver. "I love working with Mike, he is more than a digital producer; he is involved, friendly, accurate and he knows what he wants, this brings every production to a higher level." 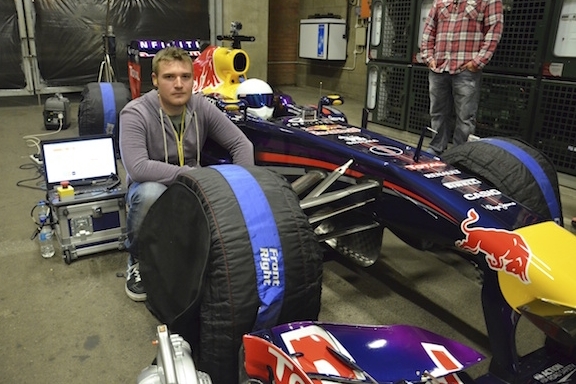 "I've worked closely with Mike on a number of projects, most notably involving Formula 1 teams. "Mike always goes above and beyond his job role, helping out wherever he is able to and always creating great content." "I worked with Mike on a multimedia viral campaign in support of Top Gear Live in Liverpool. He was our point of contact for photography, video, social media, supercars and directing The Stig - as well as also being responsible for competition winner hospitality at the event. Having someone multi-skilled within the team added significant and measurable value to the campaign." "We have worked closely with Mike on numerous projects over the course of 3 years and his professionalism and expertise are exemplary. Mike is a highly creative person, and has the commitment and project management skills to be able to deliver effectively, on-time and within budget. We look forward to partnering with Mike in his new ventures."